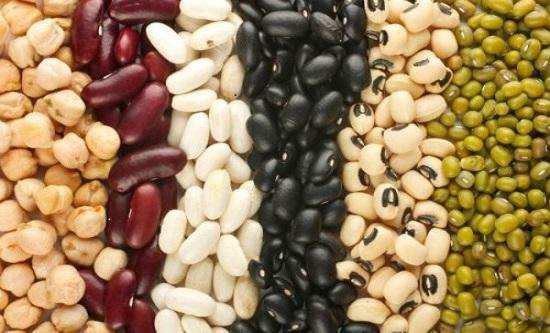 The incentive markets in favor of grain legumes is due to the very success of the Mediterranean diet, which focuses on the vegetables, along with bread, pasta, olive oil, all intertwined with the earth and to our South of Italy in particular. In terms of both their nutritional qualities and their culinary potential, legumes are one of the healthiest and wisest choices as dietary constituents. The Italian region most representative of the revival of this healthy 'new' food is the beautiful island of Sicily. Each area of the Sicilian hinterland has its own species and its varieties; it would be virtually impossible to list them all. 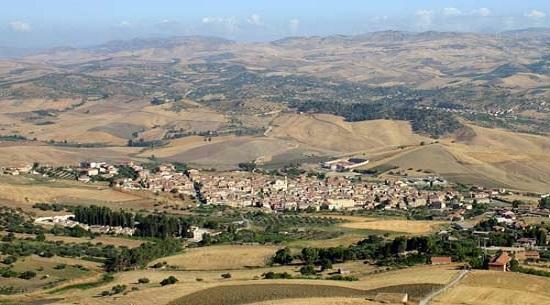 To explore the world of Sicilian legumes, which includes among others chickpeas, lentils, broad beans, grass peas, beans, we need to visit the innermost parts of the island. The wildest and most intense, where hills, mountains and valleys chase each other seamlessly and where the colors mark the seasons, from the green of late winter and early spring, to the beginning of summer after the wheat threshing, when the color of the naked fields becomes a burnt pale yellow. Here the spaces appear immense and solemn, here we discover another aspect of Sicily, a completely different one than that of the coasts, this diversity is inevitably reflected in agricultural production with its wide range of varieties of legumes in the most genuine Mediterranean tradition. The Sicilian legumes of today handed down by ancient and often forgotten agriculture methods, are also the result of laborious genetic research and by learning how to better exploit the only available local resource: The hearth. 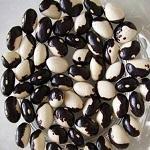 Origins - From Ancient Greece to the Arabs: Most likely the creative use in the kitchen of legumes, often combined with cereals, began after the landing of the Greeks in Sicily. With the new arrivals, there was also a thriving culinary literature. 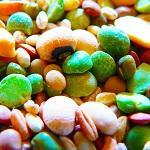 describes in gastronomic details the cooking variety of legumes, especially peas. , rice, jasmine, cotton, anise, sesame and spices, such as cinnamon and saffron. 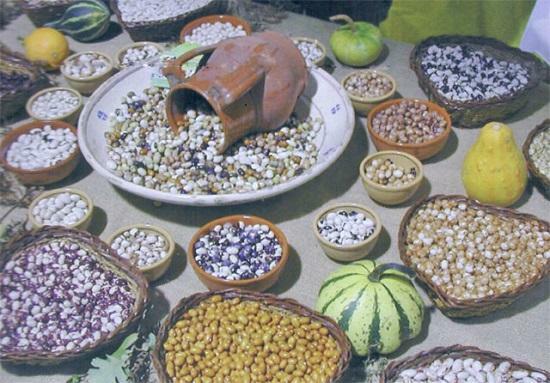 The rural tradition and the arrival of globalization: In the following centuries the use of legumes in Sicily was handed down by that culinary tradition which most utilized those so called "foods for the poor" especially those regarded as high in protein such as legumes. 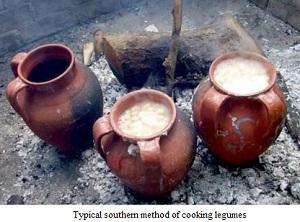 Slowly and gradually , some of the most enterprising farmers began to consider legumes not only for their own consumption, but also from a business point of view, giving life to companies for production but also for storage of dried vegetables, often family run businesses of medium-small size. This trend was interrupted abruptly half a century ago mainly due a switch toward "richer diets" and the consequent price drop. 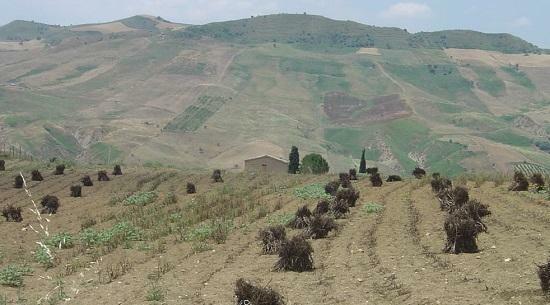 The arrival and convulsive phase of globalization and a market without barriers did the rest by exposing Sicilian crops to competition from other countries, leading to a further contraction and the tendency to a progressive abandonment of the lands, with depressing consequences from economic point of view, social and even environmental. Part of the "Presidio Slow Food"- The now international association known as Slow Food was founded in 1999 in Arcigola Piedmont as a natural evolution of the L'Arca del Gusto (Ark of Taste) for the recovery and preservation of small-scale production of gastronomic typical products threatened by industrial agriculture, and environmental degradation. 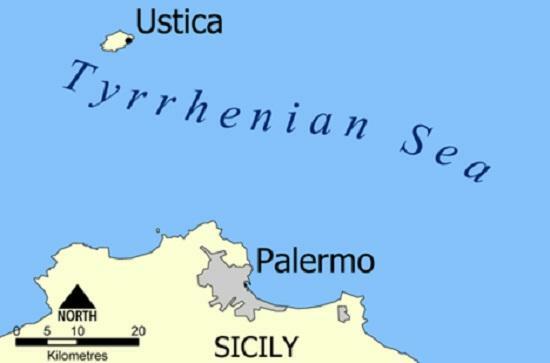 reachable by a regular ferry service from the city of Palermo. Only a few millimeters in diameter the lentil of Ustica is a product which is still largely hand-picked mainly because of the difficulty to mechanize the production due to the natural lava formation of the the island. Production is limited to three local farmers, luckily cooperating with each other. Nevertheless, the lentil Ustica has managed to gain attention at the national level, and this has prompted growers to recover abandoned and derelict land. The Lentil of Ustica does not need to soak and cooks in just three quarters of an hour, ending up in simple but tasty dishes like pasta and lentils prepared with broken spaghetti. 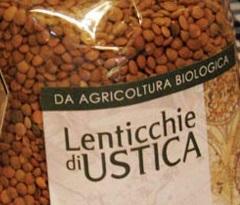 Lentils from Villalba, a village in the province of Caltanissetta. In the 90s, the lentil from Villalba was recognized as having important features, such as large presence of iron content, as well as protein, thus bringing it to the center of attention. The Slow Food Presidium was the first important step in path of the recognition and enhancement of this legume and proceedings are now in place to add it to the list of Sicilian DOP products. The 'Badda' ( the ball) from Polizzi in the province of Palermo. 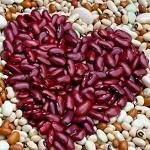 Badda beans are grown in small family gardens and local farmers, for centuries, have reproduced the seed itself. 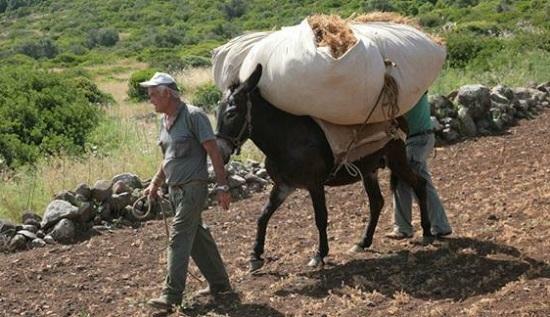 In the highest areas of Polizzi, largely within the Natural Park of the Madonie, sowing begins the first week of June. At the marina instead (near the coast), sowing is done later, middle of july, when the summer heat starts to subside. 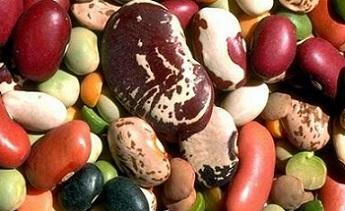 The bean is harvested from August to September, the dried product can be found throughout the year. Pulses are nutritional powerhouses (Pulses are part of the legume family, but the term “pulse” refers only to the dried seed), together with cereals have nurtured for millennia Indo-European and American populations, their progressive decrease in our daily diet (in many cases even their disappearance) should be considered one of the causes of food-related diseases. Legumes, moreover, are an important source of proteins and form the basis for protein and vegetable dishes at the same time, ideal from the nutritional point of view. But there's more: legumes contain fiber, important for the proper functioning of our digestive system, and minerals (iron, calcium, potassium), as well as having energizing power and poor on fats. They are very high in fiber, a good source of protein, are low in fat, and are packed with essential nutrients which, combined with a constant physical activity, might help defeat some of today's prevalent diseases such as atherosclerosis, diabetes and cancer. Consumers are now more then ever willing to replace the less healthy and more expensive animal flesh and consider legumes as a natural and beneficial source of protein.